Slack/Dropbox Integration - How do I save/export voicemail and message history? Hushed 3rd Party Integrations with Slack and Dropbox are a great way to send/reply to SMS messages directly through Slack and save voicemails, SMS message history, and picture messages to your Dropbox account! /text – Use this command to send an SMS message directly from your Slack account! Input ‘/text’ on your Slack number channel, followed by the destination phone number and message you would like to send. Make sure to enter the appropriate country code prefix of the destination number (e.g. +1 for the US/Canada, +44 for UK, etc.). /text +1613XXXXXXX Hi, how are you? 7️⃣ Your voicemails, SMS message history, and picture messages from the Hushed number(s) selected will now be saved to your Dropbox account! ❗NOTE: Numbers do not automatically sync – remember to click the Sync button to update your files archived in Dropbox! Diagnostic Test - Why am I experiencing poor call quality? Why are my calls not connecting? Native Call Answer (iOS only) - How do I keep Hushed from appearing on my device call history? 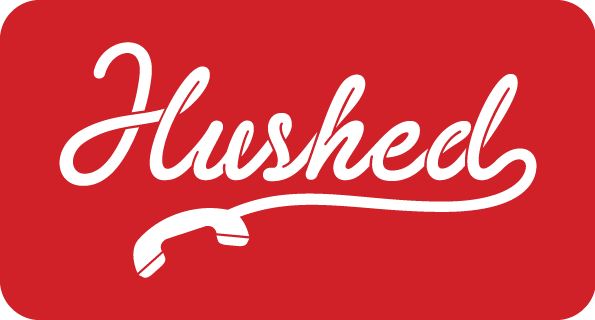 Pricing & Packages - What type of plans are offered on Hushed? Customizable App Icon - How do I change my Hushed app icon? Forgot/Change Password - How do I change my Hushed account password?